What better way to get children’s rapt attention than with life-size puppets. And there is no more effective way to teach essential life skills, such as how to recognize and prevent bullying. 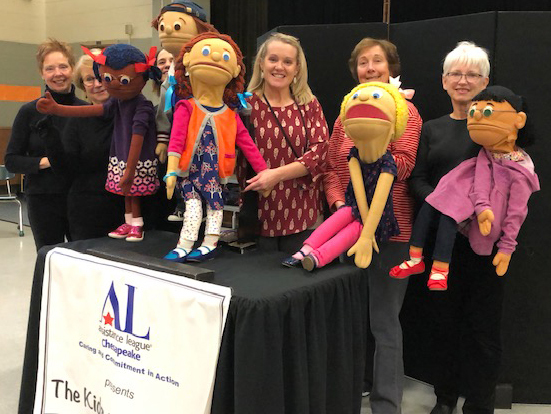 Assistance League of the Chesapeake’s Kids On The Block puppet troupe has been entertaining second graders in Anne Arundel County for 16 years with a unique series of plays about bullying. The larger-than-life, engaging puppets teach the children about the importance of using kindness and caring both in and out of school. Kids On The Block is a nation-wide program, and was adopted by our chapter 16 years ago. From October through April our cast and crew visit schools for 45-minute shows, which are presented free of charge. 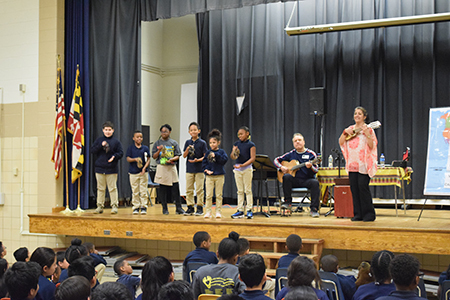 Our members eagerly donate their time and talents for about 16 performances each school year, totaling over 400 volunteer hours. Over 20,000 students have benefited from our performances. The puppets—named Eddie, Claire, Jennifer, Brenda, and Melody—each have distinct personalities. Eddie is being bullied by a nasty boy in school, but learns to deal with the boy in a positive way thanks to his friend Claire. Claire is smart, kind, and has wisdom way beyond her age. She counsels Eddie to do positive things when being bullied: tell a teacher, stand by a friend who is being bullied, and work together to raise awareness of the problem. Jennifer is a rough and ready little girl with a learning difference. She can sing, dance, and play soccer. She gets straight A’s in math, but has an issue with reading and writing. Brenda is a little over weight but very sensitive to being bullied about how she looks. Jennifer helps her learn to ignore the bad remarks and like who she is. Melody is a smart and sassy girl who does well in school and offers to help Jennifer with her school work. Through carefully scripted material, the puppets portray real-life situations. The children in the audience come to identify with the puppets and open up to them as if they were trusted friends. 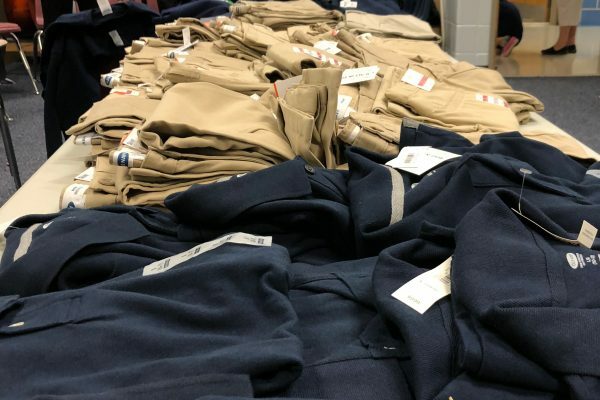 Students are encouraged to accept physical, social, medical, and cultural differences, and are empowered to tell an adult about any perceived bullying.